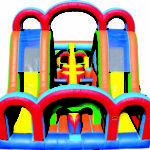 This obstacle course takes up less space than many of our other rides. 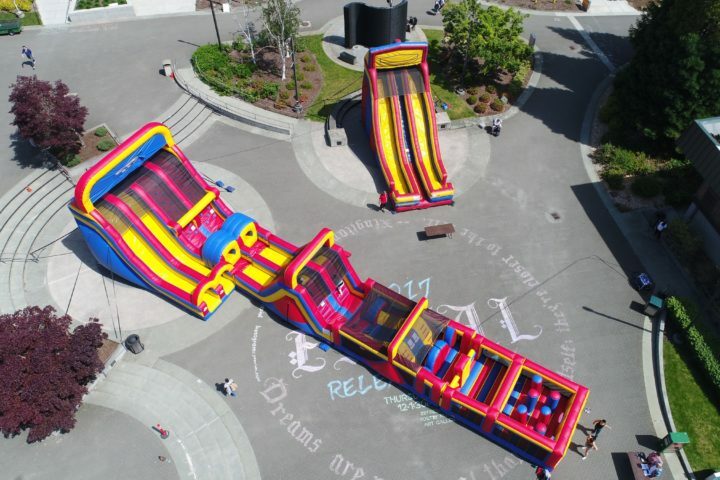 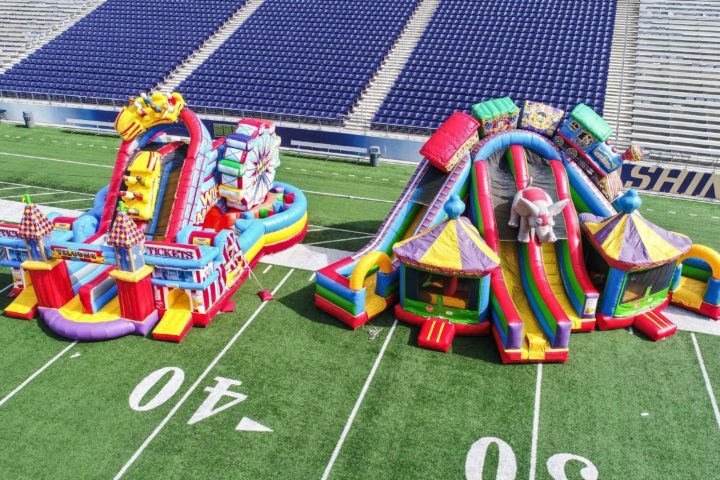 Don’t let that fool you… It has 7 elements for participants to traverse including a large slide at the end. 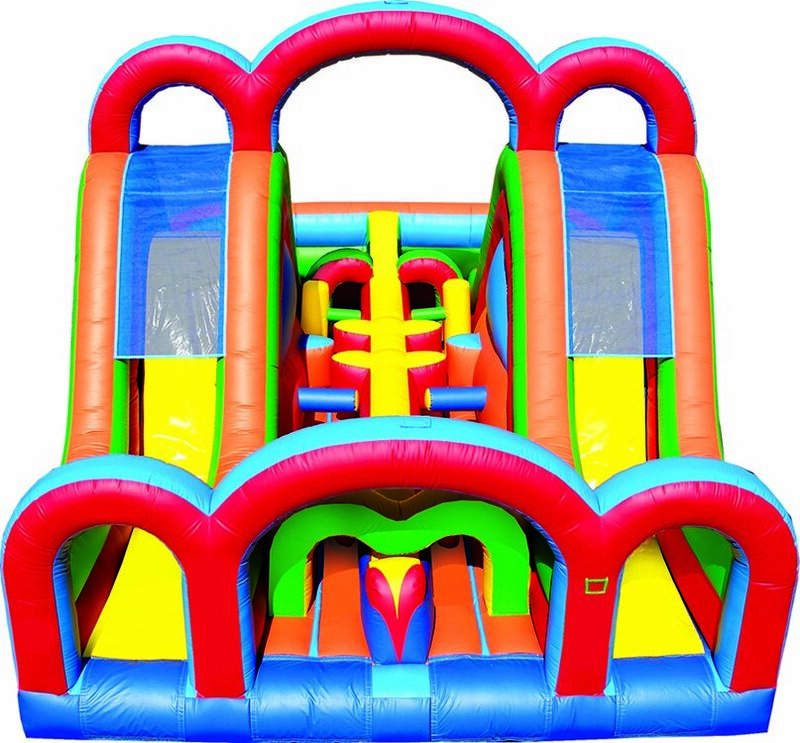 This thrilling obstacle course captures all the fun and excitement of a real amusement park! 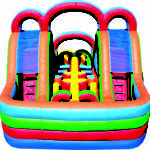 This unit features eye-catching digital graphics, tackle dummies, squeeze plays, climbing walls, and a slide that kids of all ages are sure to enjoy!